#HotInHR: The Gig Economy Is Not Taking Over After All, Does Flex Work Culture Really Help Employees? Companies that are growing need places to put new employees, and with the U.S. As with many industries, retirements and increased demand for employees have made it hard for employers to fill empty positions. Offering top-notch employee benefits can help; here are some of the strongest we’ve seen in the real estate industry. Competitive health insurance coverage is one of the best ways to attract the employees you need. Wellness Benefits. The U.S.
How appealing are your benefits offerings – really ? 79% of employers believe offering benefits to employees is a critical component of attracting talent. Additionally, 83% of employers have changed their benefits strategy within the past three years. Did you know that 608,000+ people per month do a Google search on this type of phrase: “[name of employer] benefits”? Candidates want to know the list of perks and benefits that big (and small) companies are offering. Did you also know that each benefit you include on your job ad increases the apply rate 1% to 5% (see this Appcast study )? That’s why a shame that so many job ads don’t mention a single benefit. Those are solid employee benefits. Every mid-size company reaches a certain number of employees where they can’t help but have HR on the brain—nailing employee benefits strategy, improving payroll process, and better managing the performance of each employee. Magnetic employees rocking some new swag. When it comes to employee benefits, learning and development is increasingly reported as a perk that employees are looking for. 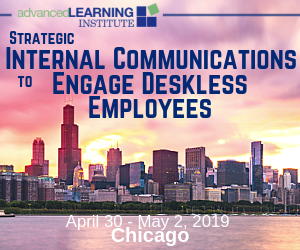 And the research makes sense – as the workforce becomes more nimble, honing skills in a variety of areas keeps employees interested, engaged, and able to apply a broadened toolkit to their everyday work. The value of career coaching in the workplace is growing for leaders, managers and individual contributors. Health & Wellness Ceridian LifeWorks corporate health EAP employee assistance program employee benefits employee health fitness trackers health coaching health risk assessment wellness culture wellness incentives Wellness ProgramBy Jennifer Piliero, Senior Product Manager, Ceridian LifeWorks Today most organizations have a keen interest in doing more to promote corporate health and wellness. So what kind of unconventional benefits are job seekers looking for the most? Adding this benefit is a great way to woo animal lovers. Offering help with fertility treatments can change your employees’ lives for the better. Life coaching and counseling. With over 15 years’ executive leadership and healthcare industry expertise, Thomas will lead growth and expansion opportunities across ACI’s global employee benefits. The post Spotlight: Thomas Kellerhouse appeared first on ACI Specialty Benefits. Every Monday we send a summary of the previous week’s funding announcements, mergers, acquisitions, and partnership news from the HR technology, recruitment, talent management and employee benefits space. The bill — which supporters say would add flexibility to hourly workers’ schedules while opponents worry that it wouldn’t do enough to protect employees — is not a new idea. Most companies want healthier employees to cut insurance costs. Today’s workplace is filled with employees who were born from 1945 to 1999. Leading People Managing People People & Leadership Coaching Employee benefits LeadershipFor the first time in decades, the workplace is filled with four generations working under one roof. VA health care benefits offer a wide variety of services and discounts. VA health care benefits are more affordable than most health care plans, saving veterans and their families money on physical therapy, wellness programs, and offering free or discounted prescriptions. We’ve got booths at both events (we’re booth #753 at HR Tech) and we’d love to show you our Best Money Moves financial wellness solution and explain why we’re winning awards, closing deals and making employees everywhere smarter about money. And, what if we let employees drive it? Today, the majority of employers provide needed health benefits for their employees. Hence there’s a need for employers to seek strategies to reduce healthcare costs, as it is crucial to both employers and employees. To ensure that healthcare costs are reduced in an organization, employers should be certain that Health care costs are clear to their employees. So with a healthcare cost tool, your employees are saved a great deal of money. While the unique role of dads in the lives of their children is well acknowledged, more companies make little or no effort to support their male employees to effortlessly assume this role. Some companies are providing full parenting benefits for fathers, including paid paternity and adoption leave, childcare options, etc. Some companies are taking reasonable steps to discontinue this lingering trend by instituting different parenting benefits for fathers. The report includes a number of other troubling statistics as well, such as that 51% of employees are currently looking for new jobs. With that in mind, we’ve put together a list of employee engagement ideas that have been successful for us and our customers. .
Sign up for our weekly email summary of the week’s funding, M&A, partnership and other timely news from the HR technology, recruitment, talent management and employee benefits space. One group of female angel investors is working on a plan they hope will help close (gender and diversity) gaps by honing in on the nexus of power: the allocation of shares to founding employees of startups. Your Flex Work Culture Doesn’t Help Employees If It Hurts Their Careers (HBR). Our weekly recap of funding, mergers & acquisition, and partnership news from the human resource, recruitment and employee benefits marketplace is below. FUNDING *This week's Fundings: $175M+ BetterUp Raises $26 Million To Democratize And Enhance Coaching With AI And [ ] The post M&A Friday! Happy Friday. 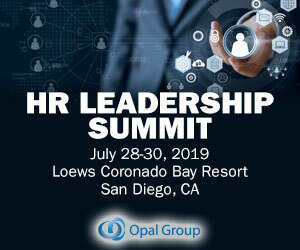 Check out their research, “ The Value of Employee Engagement in the Age of Digital Disruption ” a valuable report for any HR leader who wants to see engagement and onboarding from the C-suite. Good onboarding benefits the bottom-line. Glassdoor conducted a national survey to find the top 20 employee benefits and perks. Work tracking software company Asana received the single highest overall benefits rating of 4.9/5.0, Building a culture around coaching has many benefits. (Editor’s Note: Today’s post is sponsored by Massachusetts Mutual Life Insurance Company (MassMutual), a leading provider of insurance, annuities, retirement plans, and other employee benefits. Small Business Concerns about Employee Loyalty. Employees like time off. According to an article in Harvard Business Review, flexible hours and vacations are the two most popular employee benefits after health insurance.If organizations want to remain competitive, they need to offer benefits that employees want. You would think that any benefit that gives employees more time off would be met with cheers and adoration. There’s no limit on how much time any employee can take. Our weekly recap of funding, mergers & acquisition, and partnership news from the human resource, recruitment and employee benefits marketplace is below. Employee Risk Management Company ClearForce Secures Strategic Investment From Centricus. Happy Friday. 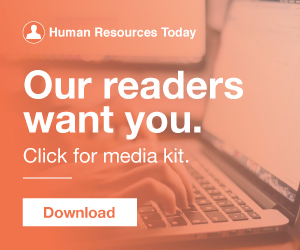 Our weekly recap of funding, mergers & acquisition, and partnership news from the human resource, recruitment and employee benefits marketplace is below. Chrysalis Coaching & Consulting and Big Sister Association Partner to Celebrate ICF International Coaching Week. Our weekly recap of funding, mergers & acquisition, and partnership news from the human resource, recruitment and employee benefits marketplace is below. USI Expands Benefits Presence in MidAtlantic Region with Acquisition of the Employee Benefits Business from The Hartman Group. Your vulnerability will make you more real to your supervisors, colleagues, employees, and help you connect with them at a deeper level. I inherited a sales team of over 200 employees–95% white men. Additionally, avoid basing hiring decisions primarily on employee referrals. Consider offering employee benefits such as back-up care, paid parental leave, and child care reimbursement to ease the burden facing women and families. Our weekly recap of funding, mergers & acquisition, and partnership news from the human resource, recruitment and employee benefits marketplace is below. This startup has conflict coaches ready to help, backed with $1.5 Happy Friday.